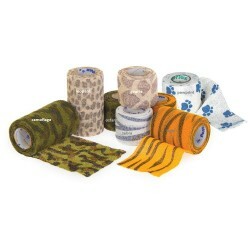 Andover Coflex is a cohesive bandage wrapping tape that is used to secure, protect and compress. 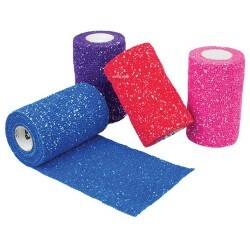 Known as Coflex Tape or as Coflex Wrap, this Non-Adhesive Tape provides great flexibility for multiple applications in medical wrapping and bandaging. This product is manufactured by Andover and does not stick to the skin but sticks to itself to provide a secure wrapping bandage. 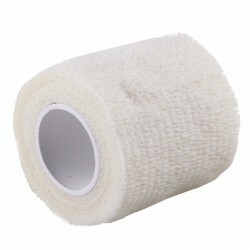 Coflex Wrap is an elastic bandage that is often used as a Compression Bandage. 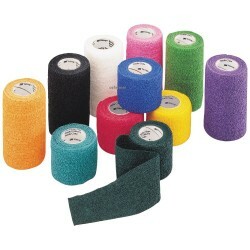 Used by hospitals to secure, protect, compress and support, this medical tape is available in multiple colours. Coflex tape is also a popular bandage for nursing homes, sports teams veterinarian VetWrap and homecare because of its durability and strength. Andover Coflex products offer controlled compression that will not constrict over time. 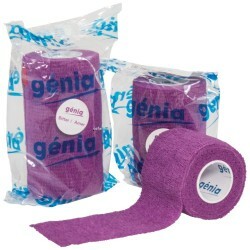 This lightweight bandage wrap is breathable and comfortable for the patient. Use for applications where endurance and reliability are most important.